Home › Get to know our Event Speakers! Get to know our Event Speakers! After his radical conversion to Christ in 1991, he enrolled at Biola University as a Biblical Studies and Theology major. Having received his pastoral ordination in 1995, he served for almost 6 years as a full-time Associate Pastor and Vice President of his church’s board. His teachings have extended to people of different age groups throughout America and other parts of the world. He has been the featured speaker at various conferences, churches, and learning institutions. E.Z. resides in Southern California with his wife Rachel and their five children. 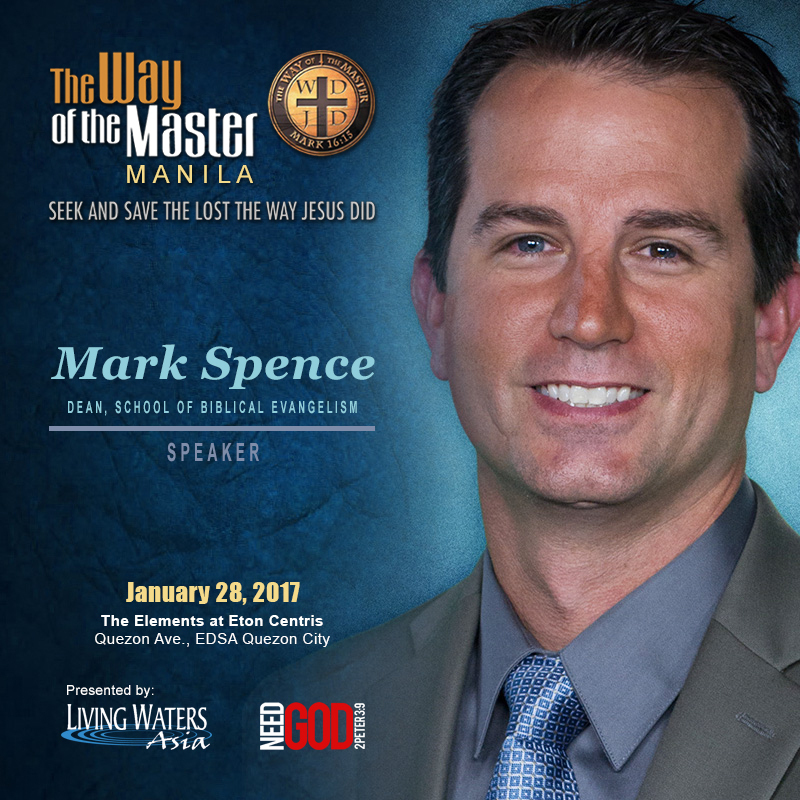 Mark Spence is the Dean of Kirk Cameron and Ray Comfort’s School of Biblical Evangelism where he currently administers to about 10,000 students. He has served as the Head of the Calvary Chapel Bible College and the School of Discipleship in Yorba Linda, California. Mark’s passion is to equip Christians for effective personal evangelism for the Glory of God. His training is very comprehensive and he has a strong Biblical foundation. He teaches in such a way that makes it easy for the average Christian to put into everyday practical use. Mark has been the personal assistant to Ray Comfort for nearly a decade. He is a gifted expositor of God’s word, and resides in Southern California with his wife and their five children. 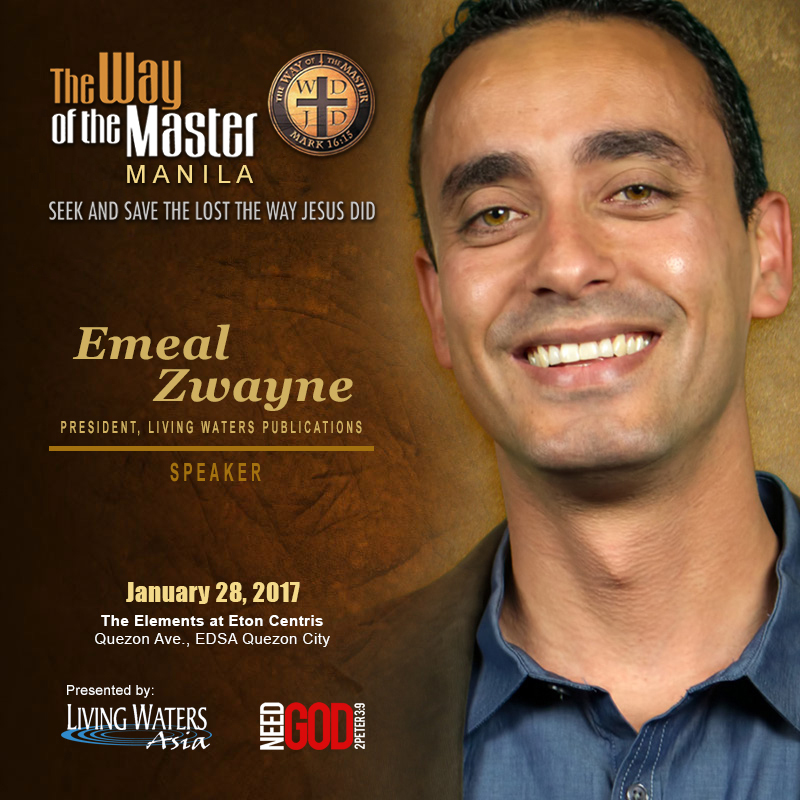 Join us on January 28, 2017 (Saturday) at the Way of The Master Seminar. Let us walk through the Bible and explore from Scripture how to effectively share the Gospel.